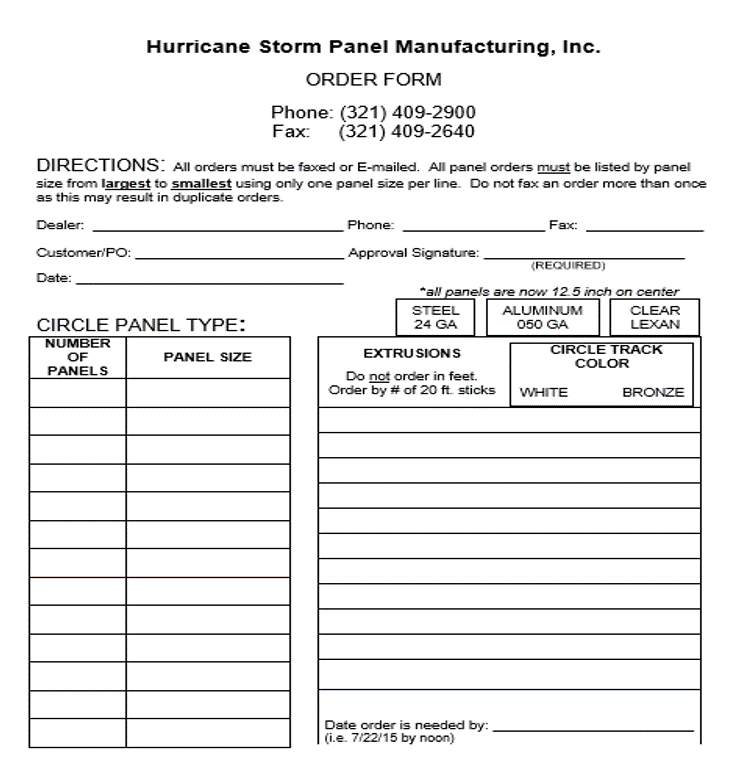 Engineering | Hurricane Storm Panel Manufacturing, Inc. | Hurricane Storm Panel Manufacturing, Inc. 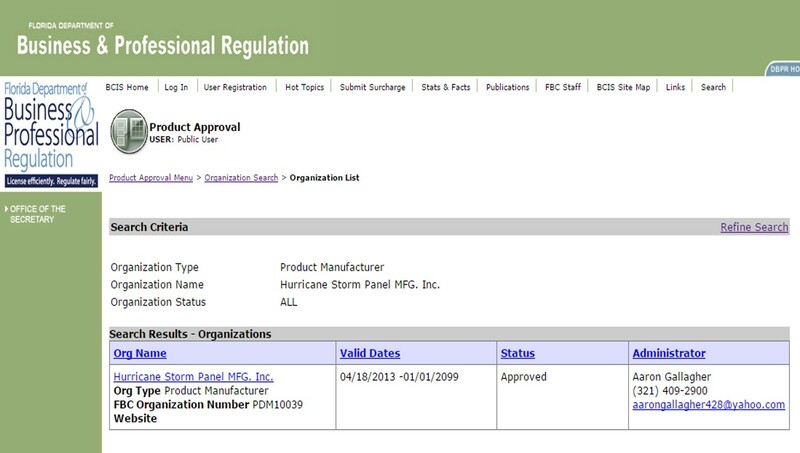 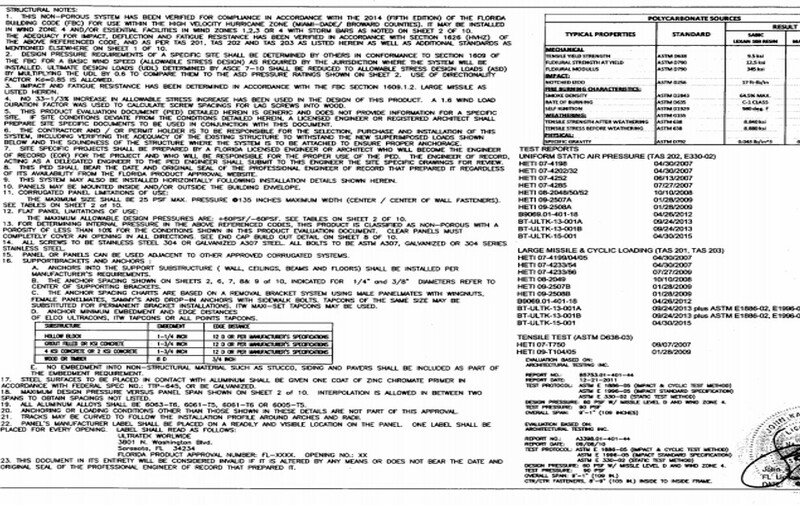 The attached engineering and installation documents provide valuable information for: homeowners, installation companies, insurance agents, builders and wind mitigation companies regarding hurricane shutter installation. 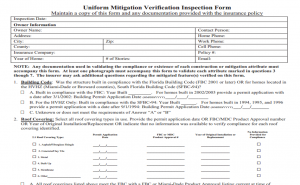 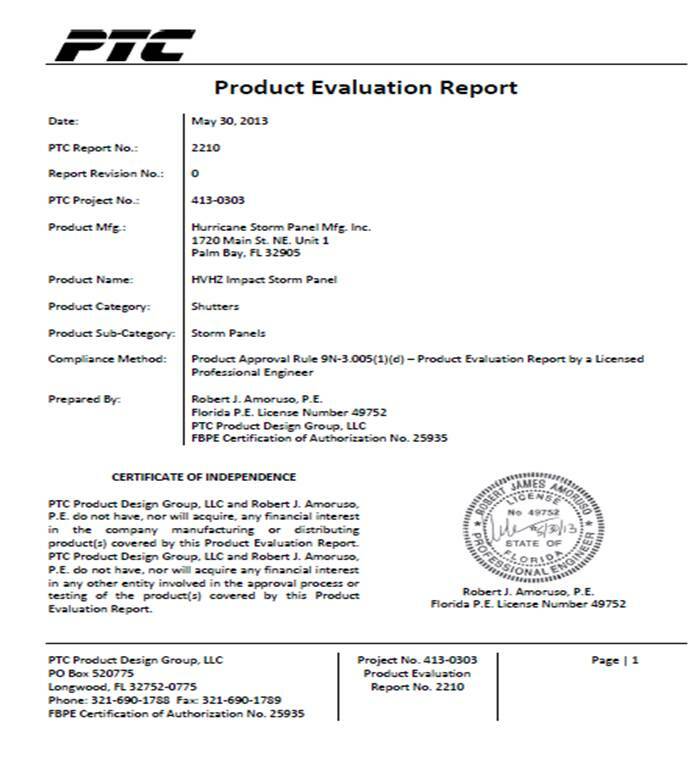 Additionally, we have included documents that demonstrate that we are in compliance with the latest Florida Building Code and manufacturing guidelines of the National Accreditation of Manufacturing Institute. 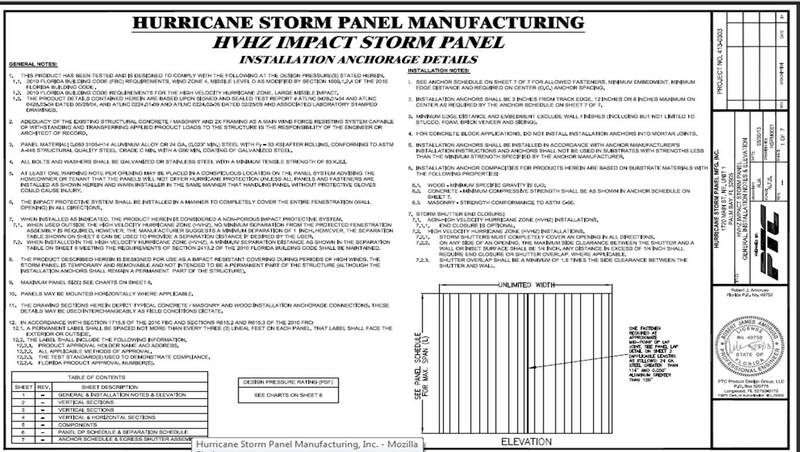 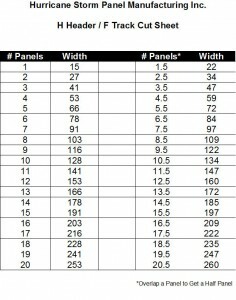 "I like the hemmed edges and the fact that the panels are 1/2 inch wider than normal therefore requiring one less panel per opening"
"I have been doing business with Hurricane Storm Panel Mfg. 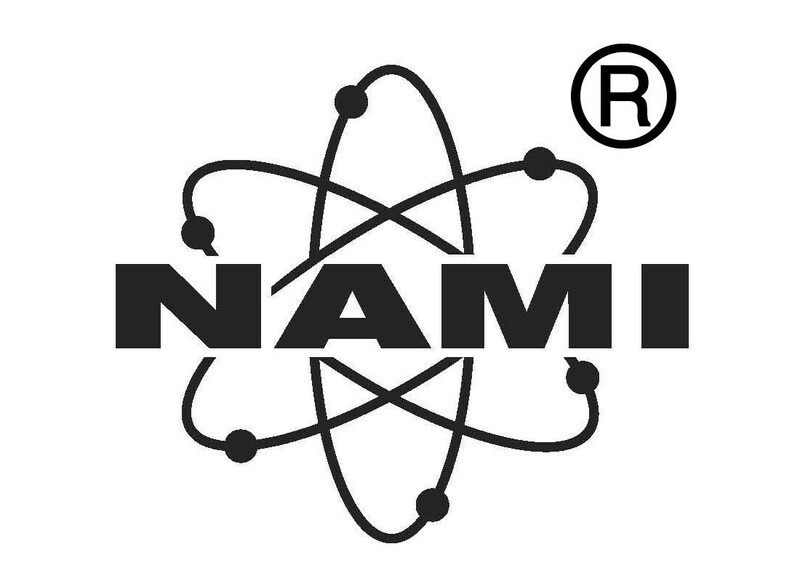 Inc. since 2006. 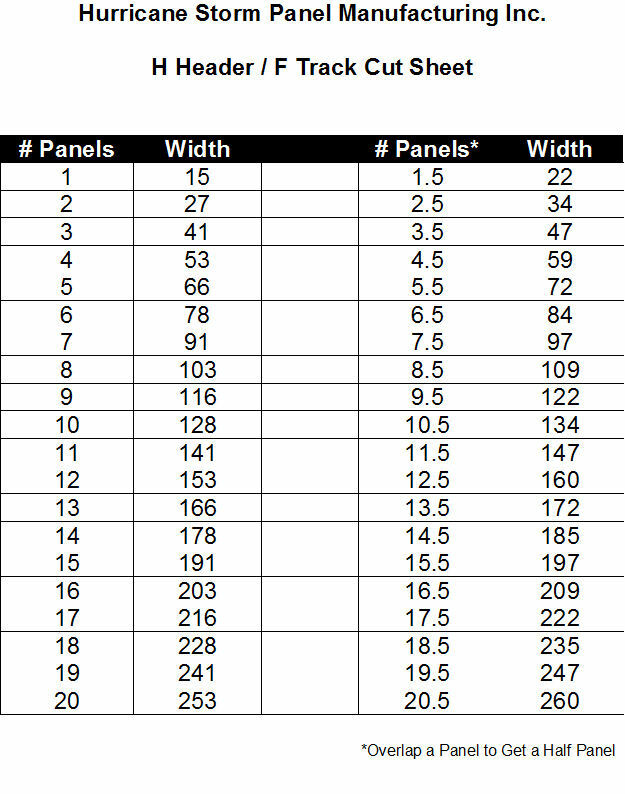 I have been offered better pricing from their competition but because of their professionalism and their unique inside rolled edge panels they have my business. 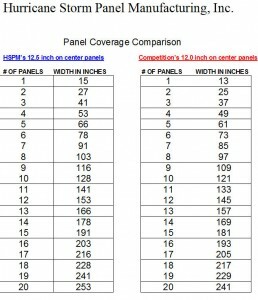 Their rolled edge panels are much easier for homeowners to install before hurricanes and tropical storms. 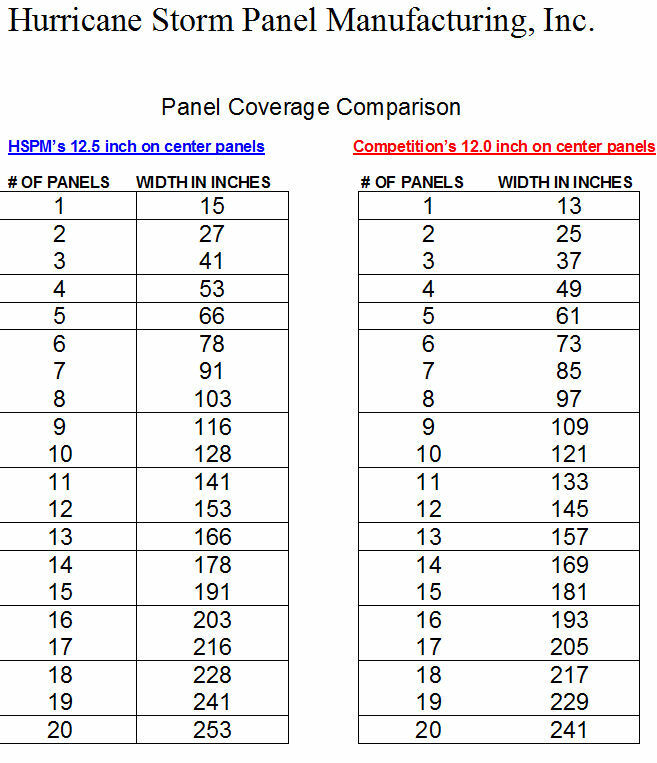 HSPM is a customer oriented company that provides the best product and great service. 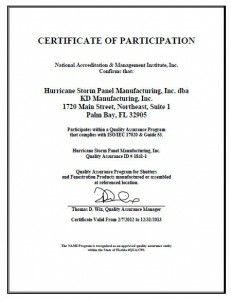 I would recommend them to all families looking for hurricane protection for their home."